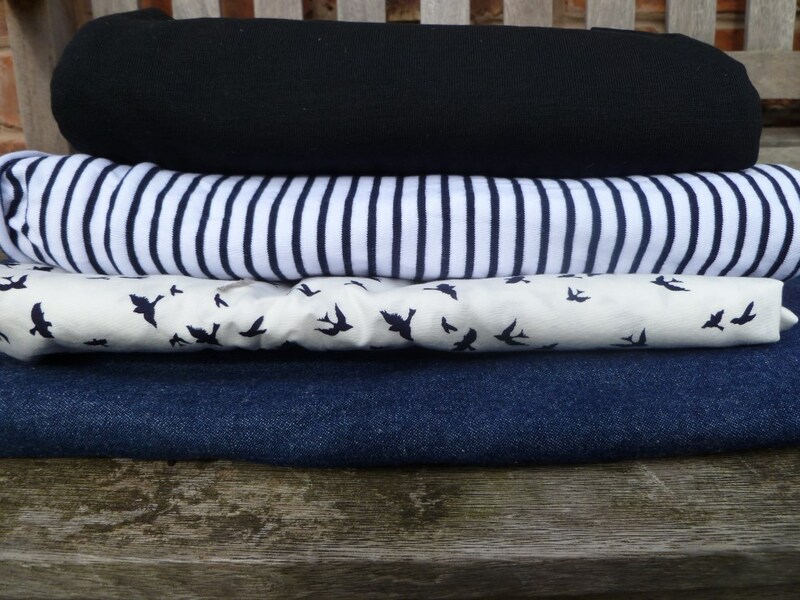 Patterns | cut it out, stitch it up! 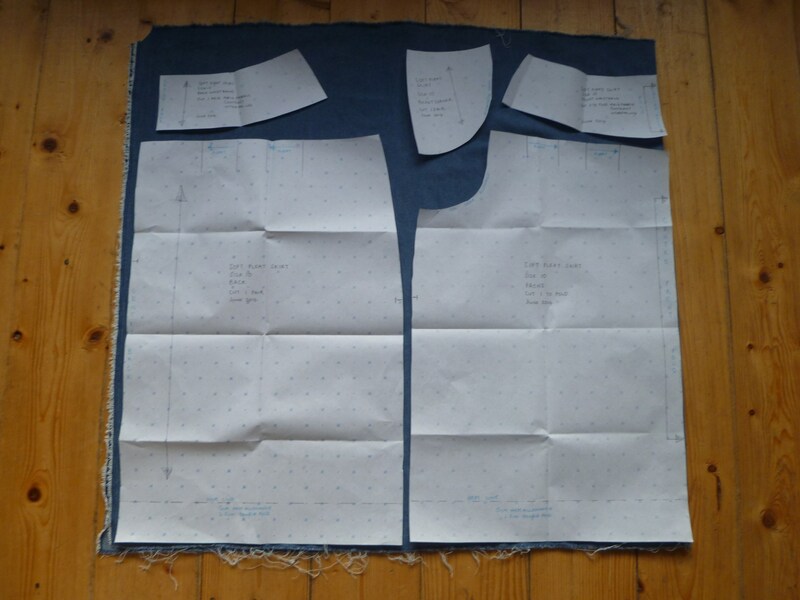 To draft the pattern for the denim soft pleat skirt I made last week I started with the basic skirt block. To draft my patterns I use spot and cross paper that I buy on the roll from Eastman Staples. 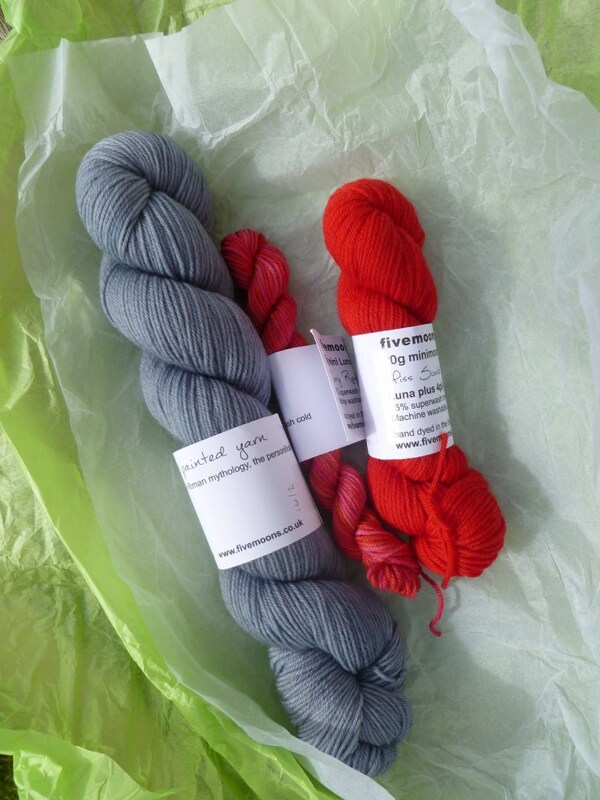 When I bought mine a couple of years ago I think I paid £30 for 100mts. The roll initially is a bit heavy and 100mts sounds a lot but I store it in the wardrobe and it doesn’t take up much space. 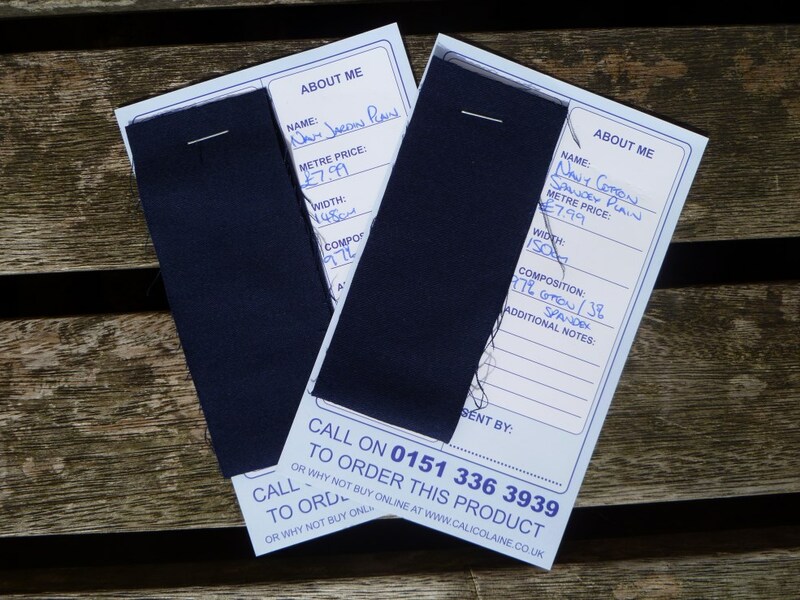 I had been using the Hemline squared paper that you can buy in packets. I found it is too thick to trace through, it has creases which need to be ironed out and the sheets are never big enough! Also when you want to use quite a bit it can become expensive. Metre for metre buying a roll is more economical. You can also find it for sale in smaller quantities on Amazon or eBay. 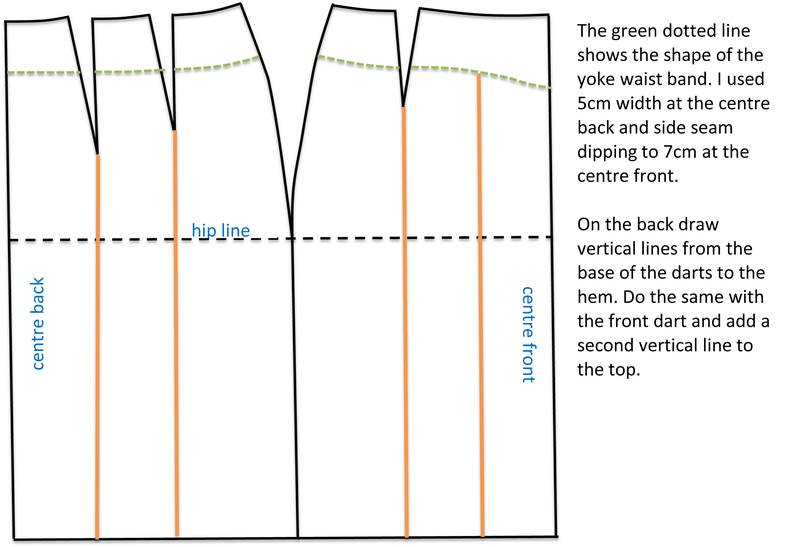 After tracing the skirt block I added on my style lines. 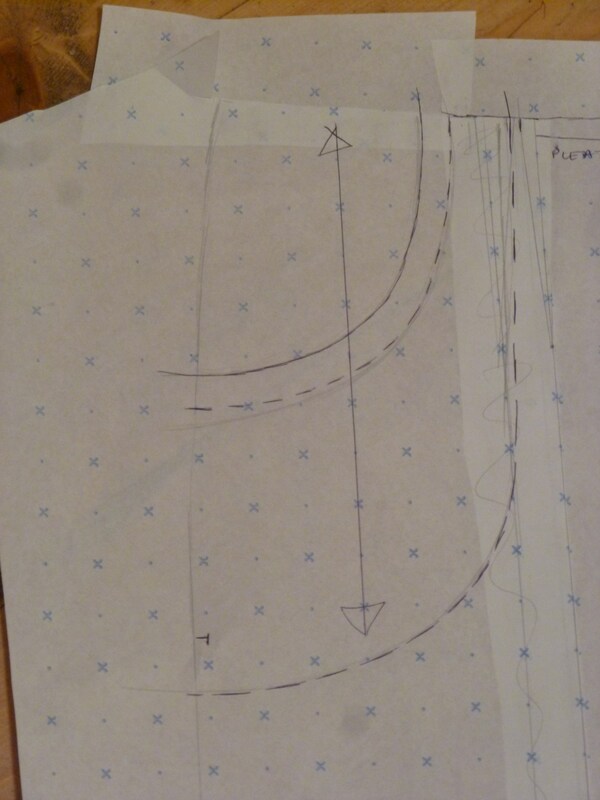 I drew the shape of the pocket pattern pieces on to the front skirt and traced off. 3 pieces in total. I added a grain line before I traced off to ensure I kept the correct grain on the individual pieces. After I made the toile I realised I needed to make the pocket wider and deeper. 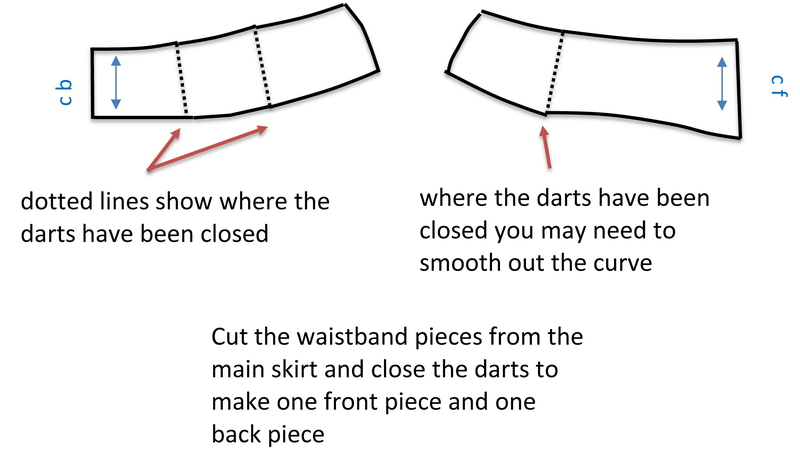 One thing to make sure is that your top corner piece in main fabric is deep enough so that the lower edge of it is well concealed into the pocket. I only had enough fabric to use one width for the front and back skirt, 150cm in total so the width of my pleats were limited. 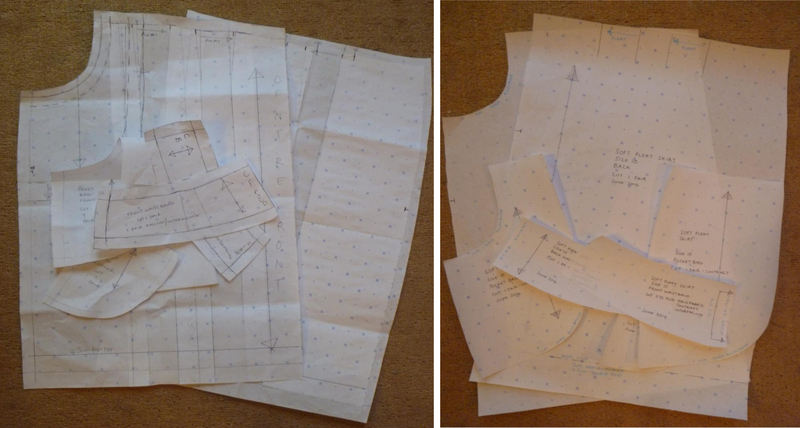 I had bough 70cm of fabric thinking it would be plenty for what I wanted, as you can see it was quite a tight layout! 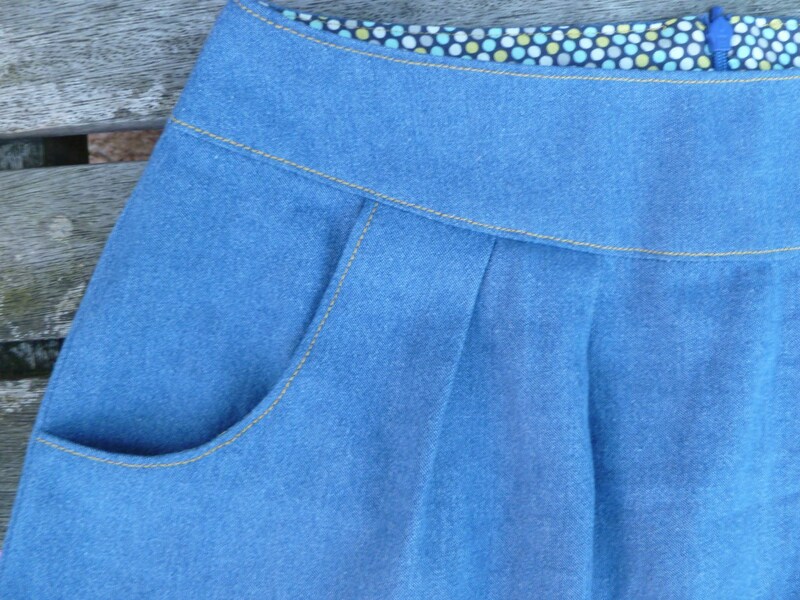 I definitely needed to use a contrast fabric for the inner waistband and pocket bags. 70cm of fabric was cutting it a bit fine. 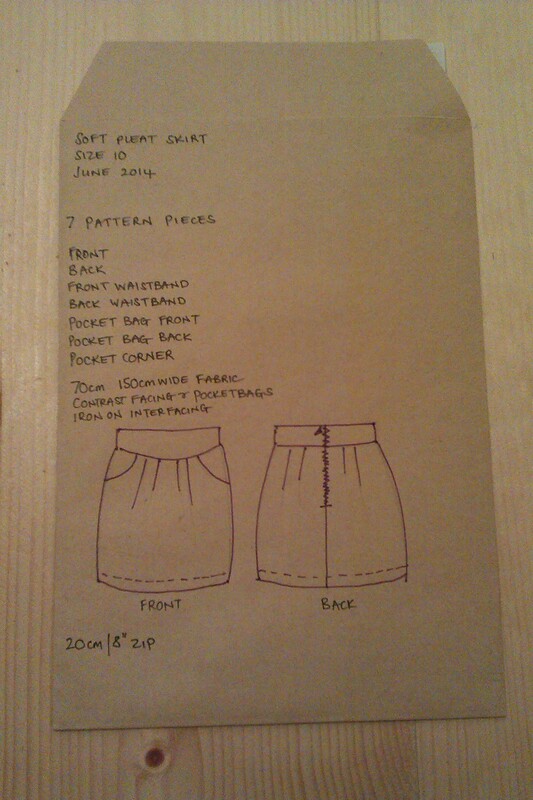 Once the pattern was finished with added on seam allowances I re-traced it adding all the info needed. 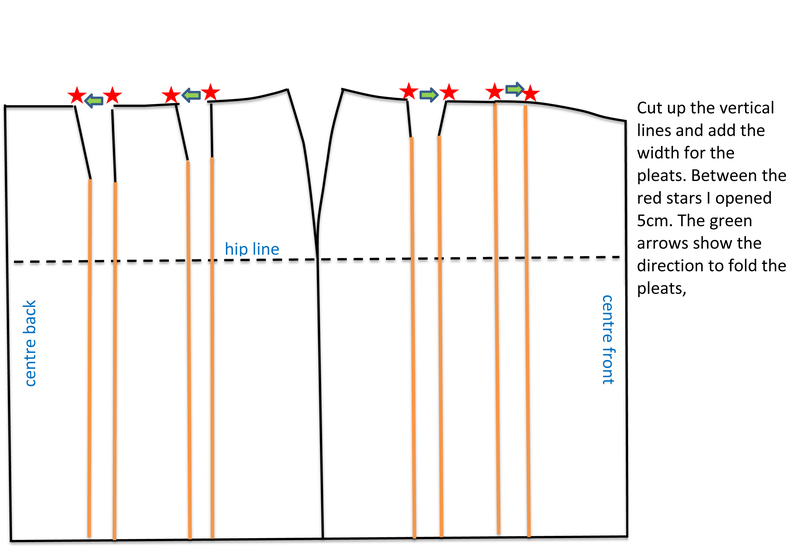 I also notched the hip line on the front and back and placed a notch in the cb seam for the zipper opening. 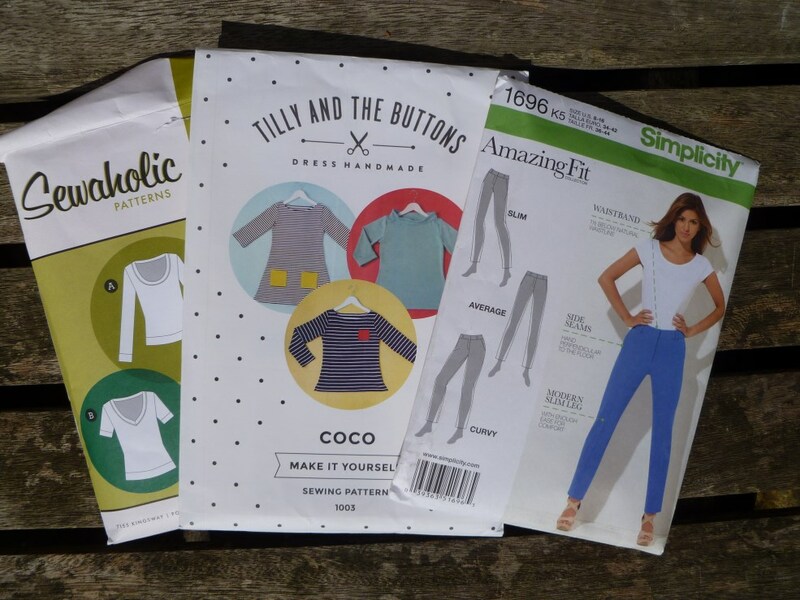 Then put it in an A5 envelope, again with all details including yardage, pattern pieces and trims along with a front and back sketch.